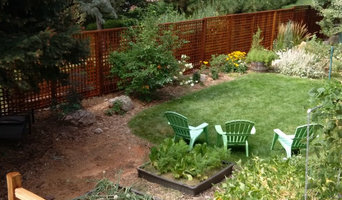 Denver's Experienced Fence Contractor | 2x Best of Houzz Winner! 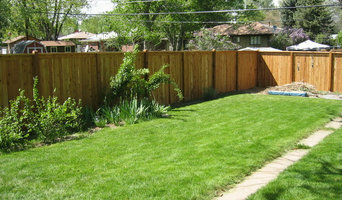 We're the Denver fence company that's been around for 30 years providing great service to homeowners. No Hassle Fence Company started in 2004 out of a need for affordable, reliable and quality fencing services in the greater Denver metro area. We hold ourselves to a high standard of quality and service that starts from the first contact all the way through the completion of your project. Split Rail Fence is one of the largest retailers, wholesalers, and contractors of fencing across the Colorado Front Range. Since we purchase our fencing materials directly from lumber mills and manufacturers, we're able to pass cost savings on to our customers with affordable fence material packages and installations. We carry a wide variety of styles and materials to choose from including cedar fences, chain link fences, perimeter fences, homeowner association (HOAs) fences, ornamental iron fences, vinyl fences, split rail fences and composite options including the popular Trex Seclusions and Surroundings. Contact us today for your FREE estimate! Open Range Fence is your region's premier choice for high quality fencing services. Our expert fence contractor brings more than 10 years of experience in the industry to each project we undertake! At Open Range Fence, our fence contractor and crew understand your needs and work closely with you to ensure your completed fence project is just what you need to meet your specific requirements. Our fence contractor works with a variety of fence materials, including wood fence installation, chain link fence installation, field fence installation, steel fence installation, mesh fence installation, and barbed wire fence installation. 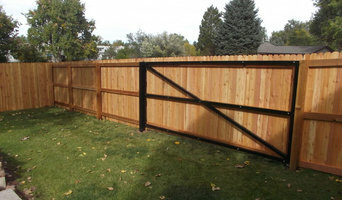 Call Open Range Fence in Parker, CO at 702-660-6677 today to discuss your fence and property boundary issues with our expert fence contractor, to schedule your fence installation or fence repair appointment with us, as well as to find out more about all of our available fencing services. Open Range Fence is fully licensed and insured for your complete protection and the protection of your property. Chelsea & Meade hand make furniture grade wood railings in the Chinese Chippendale style in our shop, at a fraction the cost of on-site custom fabrication, Our beautiful, geometrically complex patterns arrive ready to incorporate with your project's hand and bottom rail components. Our panels solid redwood, with complete mortise & slip-tenon joinery, for unrivaled longevity and strength in a traditional material. No longer prohibitively expensive, at just thirty to sixty dollars per linear foot, your exterior project is elevated from mundane to custom. We offer several patterns from which to chose. Please contact David for a consultation on your project. FenceRight Co is a small, family owned and operated business, comprised of 12 employees and 1 dog. We operate out of two locations in Central Denver, just north west of the Platte River. Doors West, Inc., has proudly serviced the Denver area for nearly 25 years. We use only the best materials and workmanship when creating your new gate system. Heavier gauge steel tubing, proper wire type and size, powder coating, and installation of the highest quality gate operators and access systems from the best manufacturers in the business are just a few of the features that make us stand out from the competition. The installation of your system is professionally performed by our factory-trained technicians, who adhere to the highest standards of safety and workmanship. These features are often the difference between a system that is plagued with problems and one that will give you years of trouble-free service. 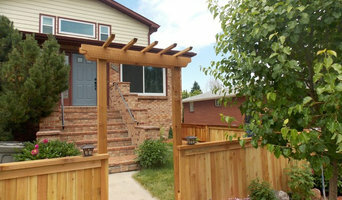 Fence Repair of Denver is a local Denver fence repair company. Specializing in fence post repair, fence gate repair, and fence section repair. Contact us today! 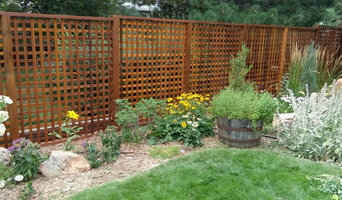 Aspen Fence Company specializes in Residential and Commercial fence installation. We offer wood privacy fences, chain link fences, Vinyl fences, rail fences, Trex fences and ornamental iron fence installation. We show up on time, answer all of our calls and complete the job when we say it will be completed (weather permitting). Schedule an estimate today. We are a fence and gate supply and installation company operating on the front range of Colorado. We have been successfully furnishing & installing since 1984. Split Rail Fence & Supply Co.
Trex fencing materials national distribution. Your home is as much about the outside as it is the inside. We understand the importance of making a statement with a fence. Our specialty is building custom, one-of-a-kind fences that will set your home apart from the rest. Serving Denver and the surrounding areas, we use a variety of materials including redwood, cedar, aluminum, plexiglass, concrete, cinder block, and Lexan. We offer full keyed door gating and entrances. We have the ability to CAD and also offer a Photo Realistic Design Center where we photograph your home and superimpose real fencing onto the image. This will give you a very realistic view of what the designs will look like. Vilket staket man väljer beror på vilken funktion det ska ha. Ska man ha ett byggstängsel, villastängsel, industristängsel eller säkerhetsstängsel? Kolla gärna med en leverantör eller butik i Denver om vad som passar dina behov bäst. Man ska även, tidigt i processen, lyfta frågan om man ska bygga själv eller köpa byggsats. Väljer man att köpa färdiga staket erbjuder flera företag montage av detta. Man ska även fundera över grindar och om dessa ska vara industrigrindar, trägrindar eller skjutgrindar. Därefter blir det lättare att sålla i utbudet samt bestämma design och material. I samband med materialtankar ska man fundera över vad staketet ska hålla för samt vad som är viktigt kring montering. Kolla med en producent för att få reda på vilka stängselstolpar du bör använda samt hur avancerad stängsel- eller staketmonteringen kommer att vara. Ta kontakt med en producent i Denver som både designar, kan montera samt installera ditt staket så är du på det torra. Tänk på att ditt staket eller stängsel ska passa med trädgården samt huset i stort. Här ska man fundera på vilket djur som ska förhindras att lämna området. Behöver man bygga en hundgård kan man jobba med lägre och inte allt för massiva staket. Själva monteringen av hundstängsel är egentligen inte avsevärt annorlunda från ett vanligt trädgårdsstaket. Grundprincipen är den samma och vill du ha hjälp så finns det flera leverantörer i Denver, CO som kan hjälpa till med konstruktion samt installation.